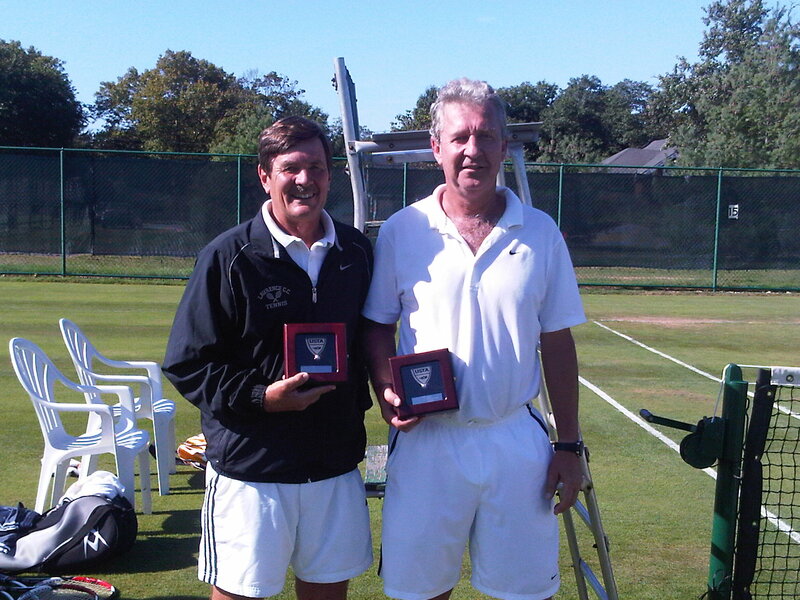 Local tennis pros David Brent of Woodmere, N.Y. and Mark Harrison of East Rockaway, N.Y. were finalists at the 55 USTA National Grass Court Championships, held at the Rockaway Hunting Club in Lawrence, N.Y. the week of Sept. 14-20, 2009. Brent, who teaches at Nassau Indoor Tennis in Inwood and is the head pro at Inwood Country Club, teamed with Harrison, who also teaches at Nassau Indoor Tennis and is the head pro at the Village of Lawrence Country Club. Seeded fourth in the 22-team draw, the duo knocked off the number two seeds, Mario Singer and Wesley Jackson, in the semi-finals before bowing to number one seeds, Fred Robinson and Tom Smith, in a three-set final. In 2008, Smith from Alpharetta, Ga., won a golden slam when he won all four surfaces of the USTA 55 Doubles Championships (clay, hard, grass and indoor). Congratulations to our local pros.